Logistics, or logistical planning, refers to the process that a business uses in order to coordinate its supply chainSupply ChainSupply chain is the entire system of producing and delivering a product or service, from the very beginning stage of sourcing the raw materials to the final operations. It includes a wide variety of tasks and activities such as managing how raw materials or inputs are acquired and transported to the business, how inventory and inputs are stored at the business’ facilities, and how inventory is transported within the business and beyond. Several parties are involved in the supply chain process, such as suppliers and distributors. Each represents a given risk to the business, and thus, it is important to carefully determine the accessibility and effectiveness of each entity. Logistics play a huge role in the smooth operations of a business. However, at scale, it is extremely difficult to run a flawless logistics division due to the sheer number of variablesDependent Variable and demands that such a system would be subject to. Logistics can be thought of as the business function responsible for “getting the right item in the right quantity at the right time at the right place for the right price in the right condition to the right customer.” Thus, it is imperative that companies invest in their logistics divisions to ensure maximum customer satisfaction and overall productivity. Inbound logistics refers to the internal logistics tasks and activities that businesses need to complete in order to operate. Inbound logistics usually refers to the logistical operations of companies that operate fairly upstream (B2B). In terms of the supply chain, it involves the relationship with parties that operate further upstream than the given business. Depending on the business, the parties that operate upstream may vary dramatically in their respective operations. For example, consider being a car manufacturer. The manufacturer’s inbound logistics would entail the sourcing of raw material inputs (sheet metal, glass, wiring, plastics, etc. ), how to store the materials in preparation for and during the assembly process, and how to manage the flow of manufactured automobiles that leave the factory. From the perspective of an upstream player, say for example the metal foundry that produces the sheet metal, the inbound logistics would vary. The inbound operations would include sourcing raw materials such as metal ores, storing and using the materials in production, and managing the flow of completed products. Outbound logistics refer to the tasks and activities involved with moving the product to the end user. Such types of logistic duties usually apply to players that operate relatively downstream, which are usually the last party in the supply chain. The duties include the storage of manufactured inventoryInventoryInventory is a current asset account found on the balance sheet consisting of all raw materials, work-in-progress, and finished goods that a company has accumulated. 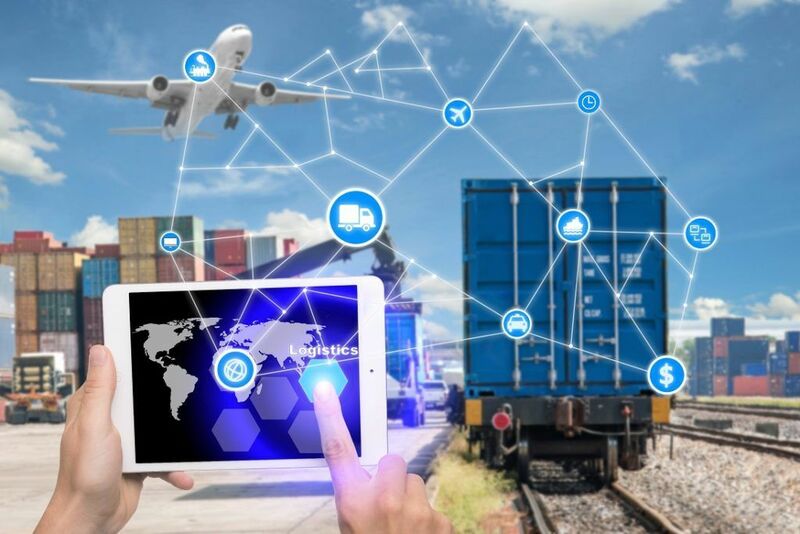 It is often deemed the most illiquid of all current assets, and thus it is excluded from the numerator in the quick ratio calculation., the transportation of manufactured goods to the point of sale, and sometimes, the shipping and handling involved to get certain products to the end user. Going back to the auto manufacturer example, the parties involved with the outbound logistics of that supply chain would be the wholesalers and dealers. The factory operations would be in charge of assuring that the right amount of ordered inventory arrived at the dealer at a given time. In turn, the dealer would be in charge of coordinating the storage and upkeep of the vehicles on its lots, as well as the shipping and handling of vehicles that are ordered by customers that live in faraway areas.